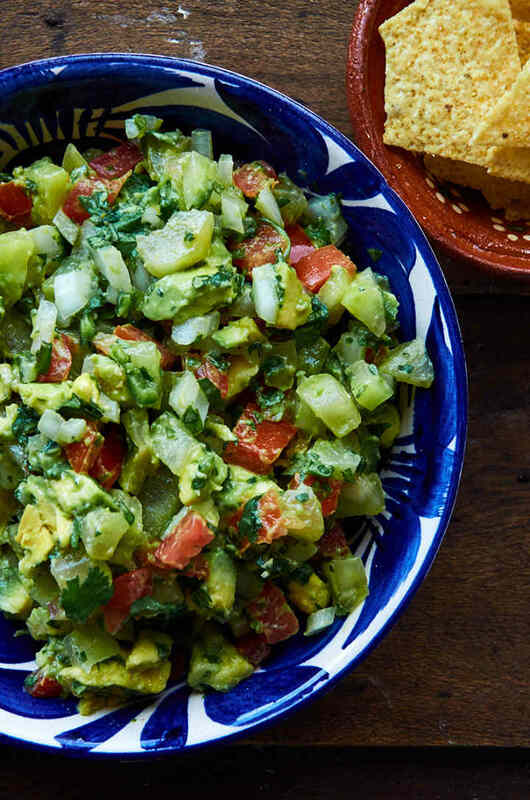 Enjoy this unique variation of pico de Gallo, from the community of Don Francisco, Guanajuato. 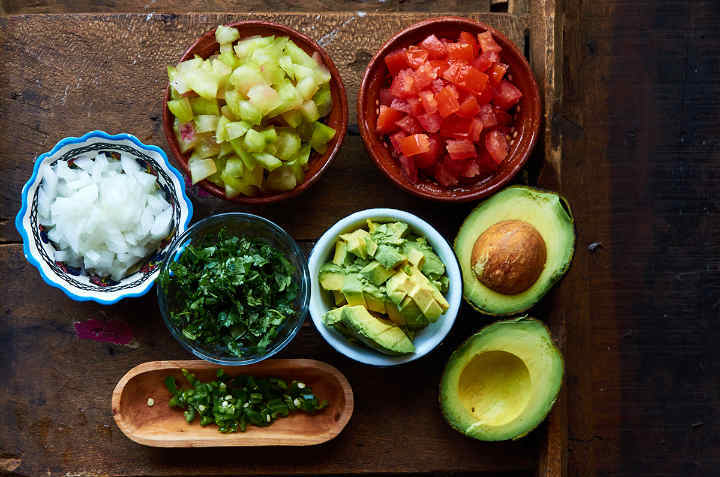 Classic pico de gallo is an uncooked salsa/dip prepared with plum tomatoes, onion, cilantro, serrano Chile, and lime juice. This version is prepared with sour xoconostle cactus fruit and avocado which gives it a unique tart taste. 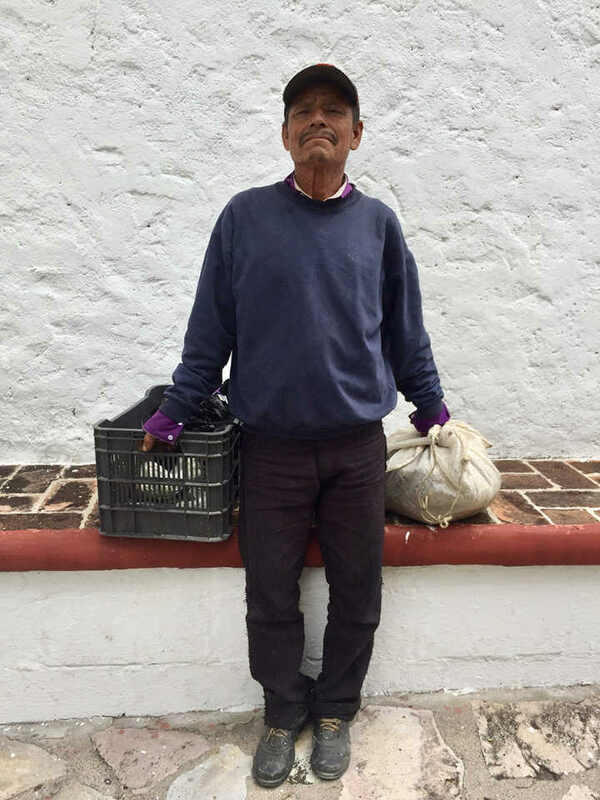 The recipe was told to us by Don Cirilo, a vendor who comes daily to San Miguel de Allende from the community of Don Francisco to sell lettuce, medicinal plants, and xoconostle which he grows on his plot of land. It’s a dish that he and his family enjoy regularly. Of course it’s delicious but it’s very easy to make and healthy. It’s also a perfect vegan or vegetarian option. Try it next time you get together with friends and family. 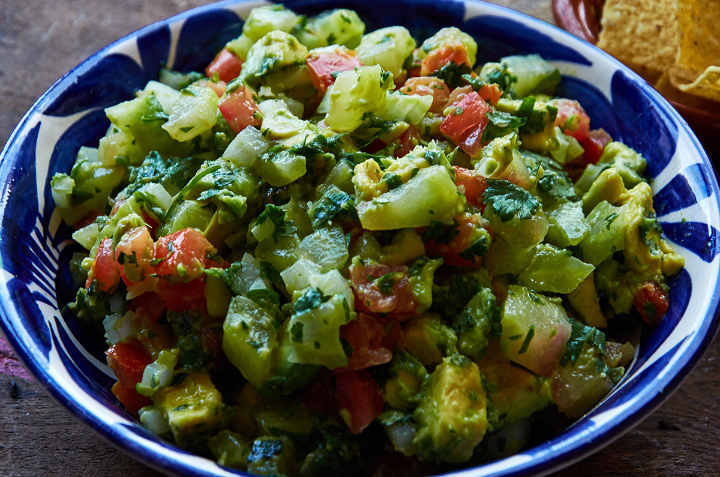 You will never want a pre-made pico de Gallo again. The fresher the ingredients, the better the dish. 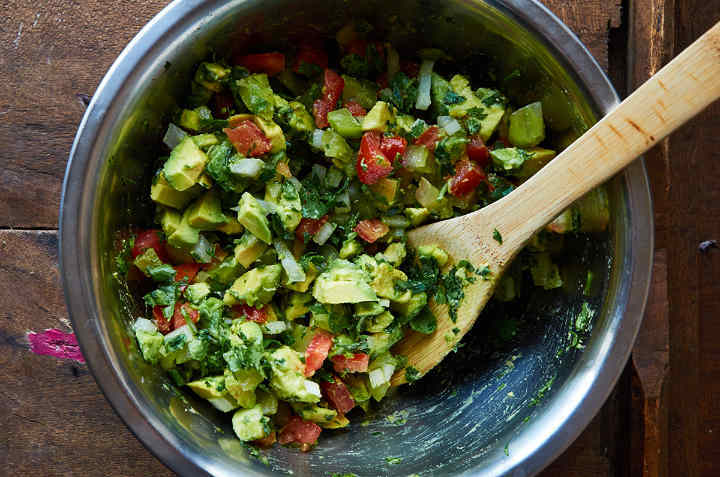 Look for very ripe tomatoes and avocados that are soft but not yet mushy. The cilantro should be firm and not wilted. The cactus fruit should be firm but give slightly when pressed. Cut the ends off the cactus fruit and remove the outer skin with a sharp knife. Slice the fruit in half lengthwise and remove the seeds with a spoon. Here is a quick tutorial to clean and peel cactus fruit. Cut the cleaned cactus fruit into 1/4″ pieces. Cut the tops off the tomatoes then slice in half lengthwise. Use a spoon to scoop out the seeds and pulp and discard. Cut the tomato, onion, and avocado into 1/4” pieces. Cut the stem end off the serrano chile and slice lengthwise. Remove the seeds and veins and finely chop. 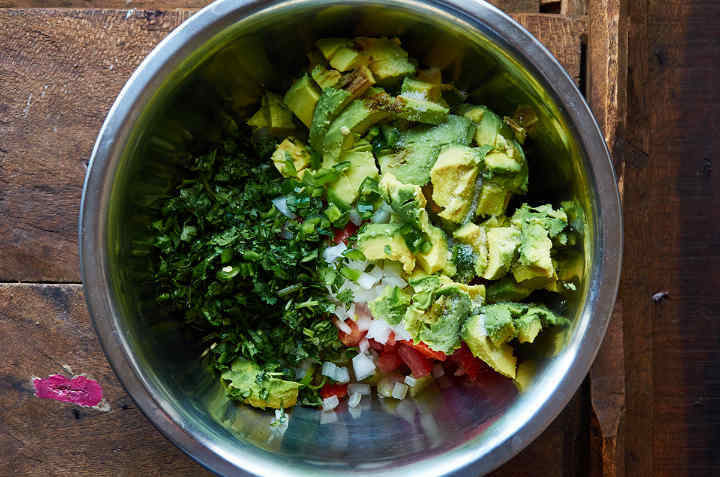 Remove the cilantro stems and finely chop. Place all ingredients in a medium mixing bowl and gently stir until all ingredients are well mixed. Cover and refrigerate for 30 minutes so that the flavor blends and concentrates. Serve cool not cold. 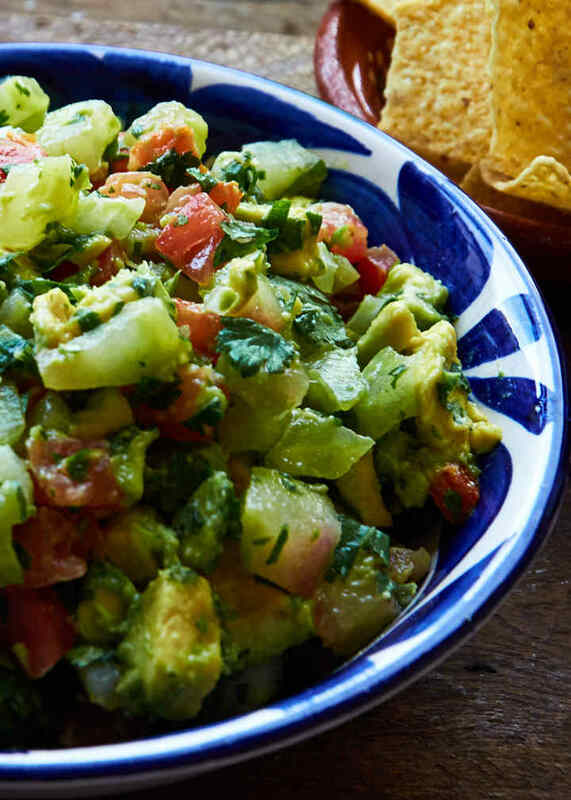 Enjoy like you would with a classic pico de gallo or guacamole. Serve with corn chips or on tostadas. Try it on carne asada tacos in place of your usual salsa. Let us know what you think! Provecho! Unique variation of pico de Gallo prepared with sour xoconostle cactus fruit and avocado from the community of Don Francisco, Guanajuato. 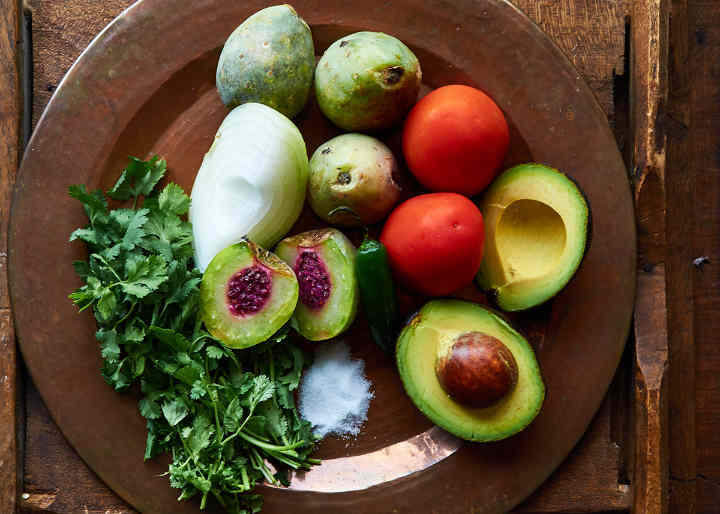 The recipe was told to us by Don Cirilo, a vendor who comes daily to San Miguel de Allende to sell lettuce, medicinal plants, and xoconostle which he grows on his plot of land. True Mexican homecooking. Cut the ends off the cactus fruit and remove the outer skin with a sharp knife. Slice the fruit in half lengthwise and remove the seeds with a spoon. Cut the cactus fruit, tomato, and avocado into 1/4” pieces. Place all ingredients in a medium mixing bowl and gently stir until all ingredients are well mixed. Cover and refrigerate for 30 minutes so that the flavor blends and concentrates. Serve cool with corn chips or on tostadas. Try it on carne asada tacos in place of your usual salsa. Use 2 serrano chiles if you prefer a hotter pico de gallo. Omit the chiles is you don't want it hot. 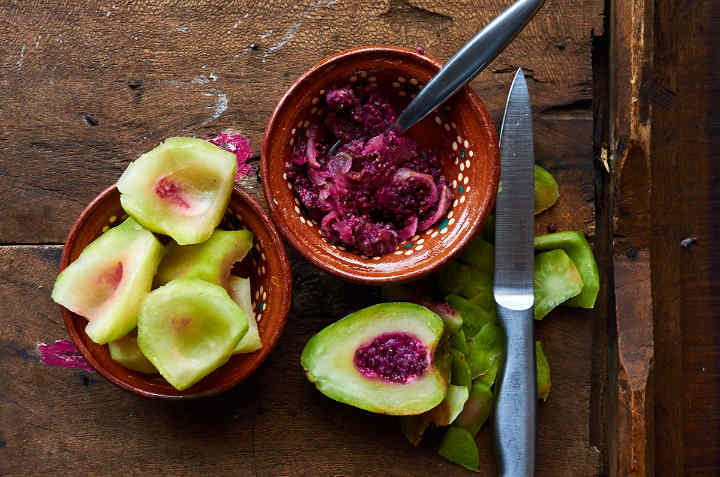 You don't need to add lime juice because the cactus fruit adds tartness. Hello, Douglas, this pico de gallo looks delicious I’m going to try to make it, especially here in Chiapas cactus fruit is so delicious. I’m new in the blogging business and any tips or comment will be appreciated.